(PDrone Expo International has announced that Atlantic City has been chosen to host its 2020 Drone Expo East trade show and conference. 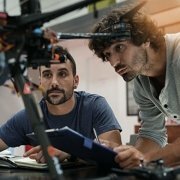 Thisevent will take place at the Atlantic City Convention Center and will host drone enthusiasts and industry users, promising to be the largest and most diverse exposition of its kind on the US East Coast. 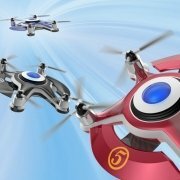 100’s of exhibitors ─ and the world’s largest indoor drone racing track ─ will be filling all 500,000 square feet of the Atlantic City Convention Center for this family-friendly event, providing attendees with access to some of the most innovative and high-tech drone technologies available on the market today. The show will also include on-site training sessions and product demonstrations from some of the world’s largest drone manufacturers. Drone Expo East caters to a wide range of professionals and prosumers, including business users in the public safety, agriculture, telecommunications, infrastructure, insurance, and energy sectors. Multiple industry-specific educational tracks have been announced, offering daily keynote addresses, expert panel discussions, and seminars covering important topics and emerging issues in the drone industry across various business verticals. Drone Expo International will be holding the best drone racing event of the year in Atlantic City.